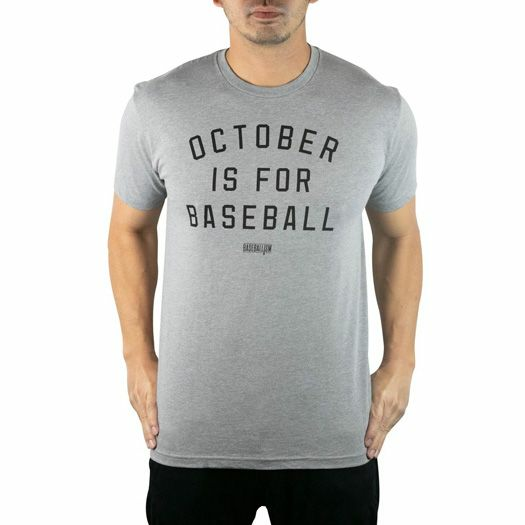 October is the most important month of baseball. For those teams who have been grinding and pushing themselves day-in and day-out for months, their hard work pays off with the playoffs. It’s the best time of the month as the game becomes more competitive than ever with the best 10 teams fighting it out until one team is crowned the best. To celebrate the month that is October, Baseballism has created a simple, yet expressive t-shirt that lets everyone know what you’ll be doing all month long. Whether or not your team made it into the dance, purchasing the Baseballism Men’s October is for Baseball T-Shirt shows that you’re a true fan of the game.